The long-term outlook on climate change is bleak. Last month, a United Nations report found that the international community’s current efforts are unlikely to stave off catastrophic global fallout. That gloomy consensus is driving some researchers to investigate moonshot solutions, including an idea so extreme that it has divided scientific community: geoengineering our own planet by releasing particles into the stratosphere that will deflect sunlight and prevent future warming. A new study by researchers from Harvard and Yale, published Friday in the journal Environmental Research Letters, found that building a fleet of high-altitude planes to release sunlight-blocking particles could cost just $2 or $3 billion per year — a drop in the bucket compared to the tens of trillions of dollars in climate-related damages the UN report predicted. The report’s authors found that the effort could be pulled off by about 100 specially-designed aircraft, which would eventually make a total of about 60,000 flights per year. That’s not an enormous program, they wrote, but it is substantial enough that a rogue nation wouldn’t be able to pull off something comparable in secret. Many scientists oppose geoengineering. They argue that it could have unintended consequences and that it treats the symptoms of climate changes instead of the causes. But other researchers say it’s imperative to investigate the effects of programs like the sunlight-blocking particles before governments start their own geoengineering programs to fight climate change. 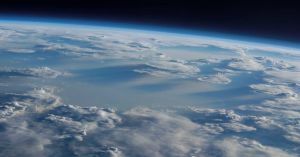 More on solar geoengineering: The World’s Largest Solar Geoengineering Study Is Launching in the U.S.